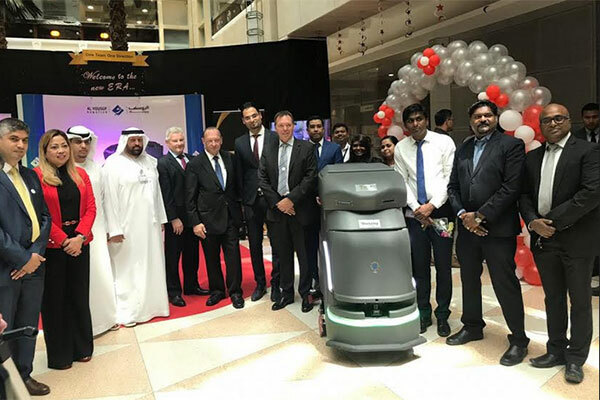 UAE-based Al Yousuf, a home-grown global conglomerate, is further expanding to include an exclusive robotics division to work on developing smart robotic systems for varied commercial, industrial and household purposes. Al Yousuf Robotics, which falls under Al Yousuf Smart Solutions, aims to deliver excellence and scale new heights. Al Yousuf Robotics division has been broadly divided into two categories - industrial and retail. The industrial fleet consists of Avidbots – NEO Autonomous Navigation Technology Robotic Floor Scrubber from Canada with integrated technology which is capable of operating in any commercial floor space with quality cleaning and reporting. The retail & home fleet includes Hobot for Glass Cleaning and U–Bot for floor cleaning. These cleaner robots are well-equipped with the latest technology and sensors to provide high-end cleaning services and save time as well as cut down on expenses. According to a report by International Data Corporation, global spending on robotics and drones is expected to grow 22.1 per cent year-on-year to reach $103 billion in 2018. The report also says the spending will become more than double to $218.4 billion by 2021. Robotics spending will account for over 90 per cent of all spending between 2017 and 2021; it can also raise global employment by 10 per cent by the year2022. In addition, a report by International Federation of Robotics confirmed that the global demand for industrial robots reached an all-time-high of about 354,000 units in 2017. Al Yousuf Robotics is the first registered Robotic Operations Company in UAE, a statement said.